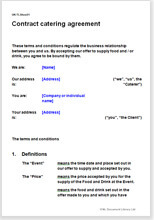 It is a flexible document, appropriate as a standard “terms and conditions”.It includes a wide number of variables for you to choose to suit your needs. All it requires is a quotation, by reference providing all the information particular to the contract in hand. Short, simple, relevant, in plain English.